Researchers at Thomas Jefferson University discovered that nearly half of coronary artery bypass patients are not taking statins and aspirin together when they are referred for diagnostic cardiac catheterization at least three years after their initial bypass. Their results are currently in press online in the American Journal of Cardiology. 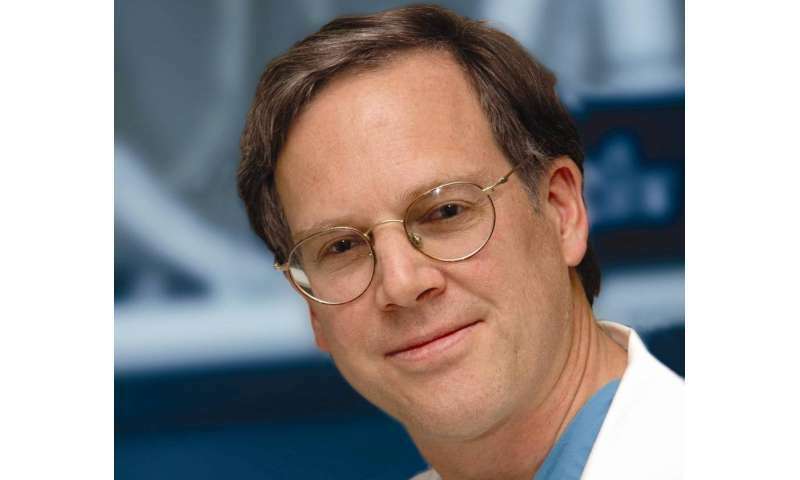 "It is important for patients to understand that bypass surgery is a second chance, not a cure for their disease," said Michael P. Savage, M.D., the Ralph J. Roberts Professor of Cardiology at the Sidney Kimmel Medical College at Thomas Jefferson University and the Director of the Angioplasty Center and Cardiac Catheterization Lab at Thomas Jefferson University Hospitals. If untreated, about half of bypass vein grafts become occluded within 10 years of surgery and aspirin and statins have been shown to keep grafts open over the long term. The American College of Cardiology and the American Heart Association recommend both medications unless they are unsafe for the individual patient. "Our study confirms the significant under-utilization of both aspirin and statins in patients during long-term follow up after bypass surgery. This suggests complacency, not only among patients, but also among health care providers regarding the need to continue appropriate prevention measures after successful heart surgery," Dr. Savage said. The researchers reviewed the electronic health records of 381 consecutive diagnostic cardiac catheterization patients who had a previous coronary artery bypass graft (CABG) a minimum of three years prior. Their goal was to identify the long-term trends with medication adherence in this high risk population. Only 52 percent of patients were taking both aspirin and a statin medication; 75 percent were taking aspirin and 67 percent were taking a statin. In addition, patients not taking a statin had higher (22 percent) low-density lipid or "bad" cholesterol. "Our findings highlight the need for coordinated efforts in educating healthcare providers and patients to improve long-term medication usage in this high risk population," said first author Kevin Curl, M.D. Then what is the point of getting bypassed while your artery is still clogged? Means the medical field did not done the right job or intentionally just for the money?